I’m a huge proponent of choosing a coaching niche versus being a generalist coach. 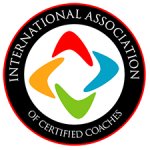 There are a number of reasons why I recommend niching to the coaches I mentor in Jumpstart, but one of them is simply that coaching is already so intangible that most people have no idea what it is nor how it could benefit them. Niching really helps coaches clarify who they help and what problems they help people solve (or what specific wants or needs they help people fulfill). But what niche should you choose? Honestly, I believe there are endless possibilities for coaching niches, and, for this blog series, I want to show you 5 places to start looking that should help you narrow that niche down if not completely nail it. I find a lot of coaches have a difficult time believing they have credibility when they first start out. Part of it comes out of this belief that if they haven’t been specifically coaching people for years that coaching experience is what equals credibility. Most coaches – myself included – had previous careers before starting out as a coach. That previous career isn’t a credibility killer. It’s actually something that you can use to build your credibility especially when you’re starting out with only a client or two under your belt. One of the ways you can leverage all those years you’ve spent doing something else is to consider all the skills that you’ve acquired in the workplace, as well as over the course of your lifetime, to see if perhaps there’s something that you can wrap your coaching practice around. What skills do people commend me for or ask me to do? What can I do that most people cannot? These are just a few of the questions that you can begin to ask to highlight skills that might be incredibly marketable and lucrative for you as a coach. I’m really good at art. What’s stopping you from being a Speaking Coach? There are very few good speakers in the world. Think about how marketable that would be. It’s the same with writing, art, and many other skills. What if you’re a stay-at-home parent, but you have a knack for budgeting? What’s stopping you from wrapping coaching around that skill to help people get their finances on track? Some of our Jumpstart students have launched coaching practices based on skills that they had to learn on the job. One of our coaches is a Breakthrough Coach for Artists. She, being an artist herself and identifying with that community, found that many artists struggle to complete their projects. She’s created a unique niche that is now helping a lot of people, and her skill opened the door for it. So what about you? Are you struggling to discover your niche? Perhaps you start with the skills that you’ve been building your whole life – some that you even take for granted – in order to find your niche. These skills can be anywhere and anything. They can be found in hobbies to investing to even people skills. Do some homework on yourself, and you might be surprised at what you find you can offer the world.